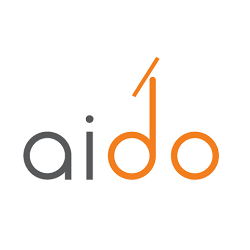 Aido (InGen Dynamics) has developed an interactive personal home robot. He’s an all in one package that comes with the best of home automation, security, assistance, entertainment and much more! Awarded "GameChanger" of 2016 by T3 tech magazine, Aidois a sophisticated yet affordable package. Aido is a state-of-the-art interactive personal home robot with voice control. You can call Aido to you and give it commands. Aido has a set of powerful mics that let it listen to your voice, even in noisy environments, and a ball-based navigation system that allows it to traverse your home. Aido is an all-in-one package that comes with the best of home automation, security, assistance, entertainment and more. Aido includes custom display technology, an interactive projector system, advanced speech recognition, face detection, an incredible personal AI & seamless integration with all your home automation and security needs.